Mardi Gras hangover notwithstanding, Ash Wednesday opens the Lent season of fasting and penance for the world’s billion Catholics. In the U.S., we are once again faced with the big question: “Are we a Christian nation?” I think we are, and here are 6 reasons why I believe so, in honor of the 6 weeks of Lent. Seventy-three percent of us still self-identify as Christian (48% Protestant, 24% Catholic, 1% Mormon and other). 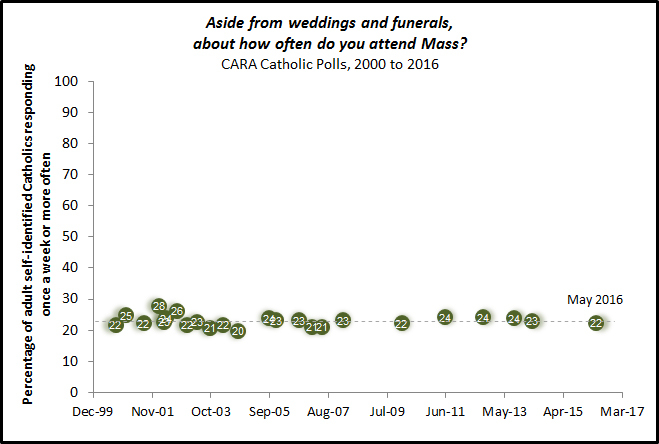 Over 80% of Americans labeled religion as “important,” and weekly mass participation still hovers at 25%, even among millennials. Eighty-six percent of Congress is Christian. Many politicians rely on Christians to elect them, the Christian right, and so must constantly show signs of Christian devotion, which makes its way to the national discourse and sometimes even policy. He also goes every year (in part because he is Christian). We still swear on Bibles and invite prayers at public civic events. Our founders were overwhelmingly Christian – John Hancock and John Adams were seminarians at Harvard. Media cries about the “War on Christmas,” but never talks about the “War on Ramadan.” Major holidays in every season are based on Christian traditions (although they are based on more ancient holidays). The Christian value of compassion remains a guiding force for Americans of all stripes in the form of potlucks, parades, soup kitchens, foreign aid, and the government safety net. The progressive vision that is convincing enough to elect Obama twice is based on an essentially Christian vision for the nation, in which we help each other do better in a spirit of freedom.